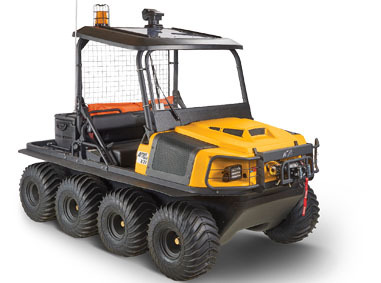 This high payload weight is achieved by using a heavy-duty frame that has an additional steel upper frame to support mounts for equipment as well as optional catwalks to move around the vehicle without leaving it. 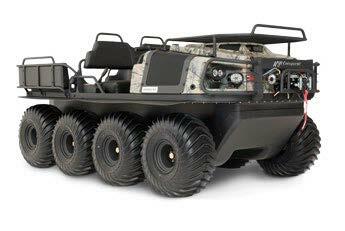 A heavy drive belt, sealed axles, and alternator make the Conquest rugged enough for working in extreme conditions. 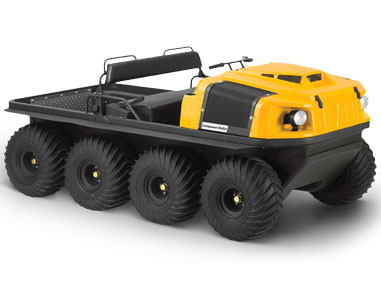 Standard models can be ordered with a choice of gas or diesel power. 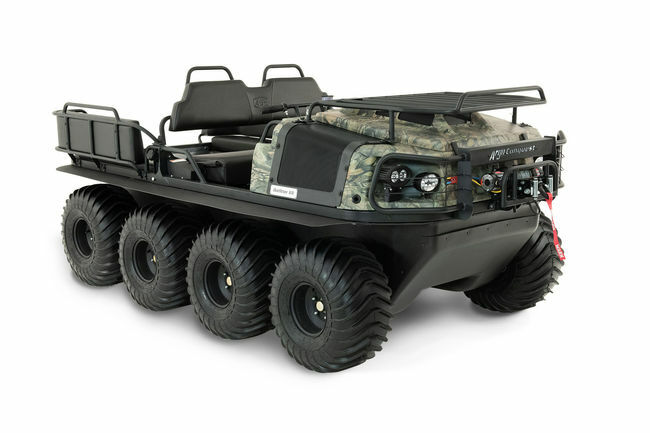 From there, Argo’s line of accessories let you set it up to meet your needs. With the optional universal mounting system, you can permanently mount whatever equipment you need to take with you, creating a mobile workspace. The Outfitter is part of Argo’s hunting-centric Wilderness series. 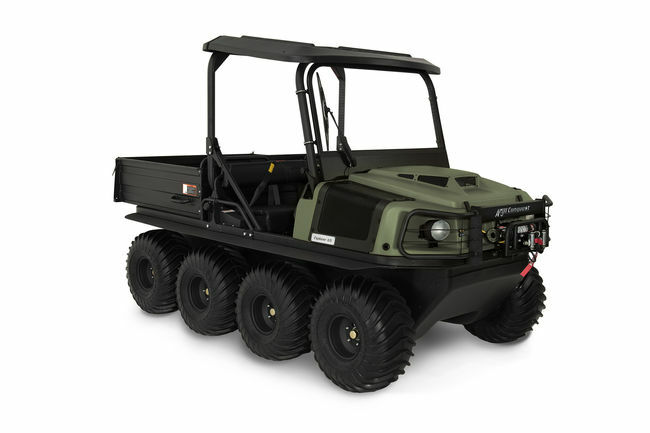 It comes with a built-in gun rack and cargo rack, while the added cargo room makes it a great choice for carrying big game. 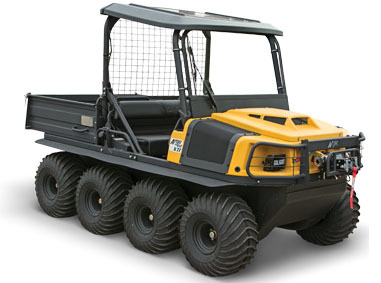 The Explorer is built for use on construction sites. 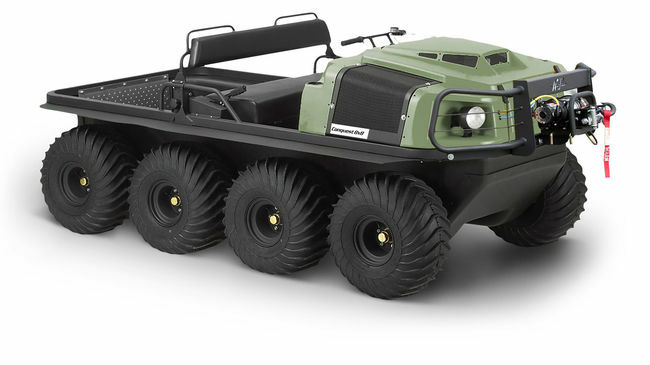 It replaces the cargo area with a dump bed and adds a ROPS with rear mesh, windshield with a wiper, and heated grips. 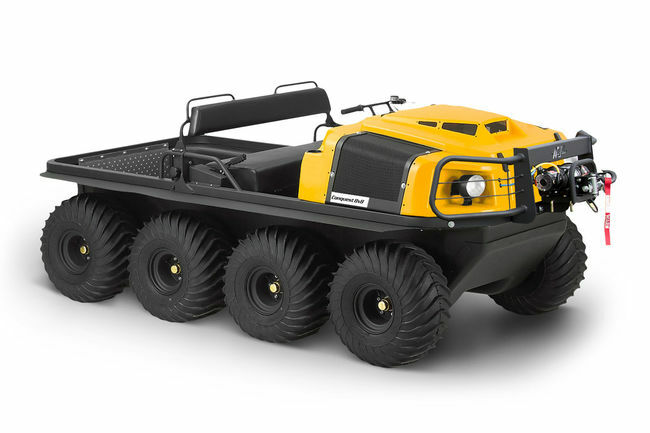 This model can be ordered with a gas or diesel engine. 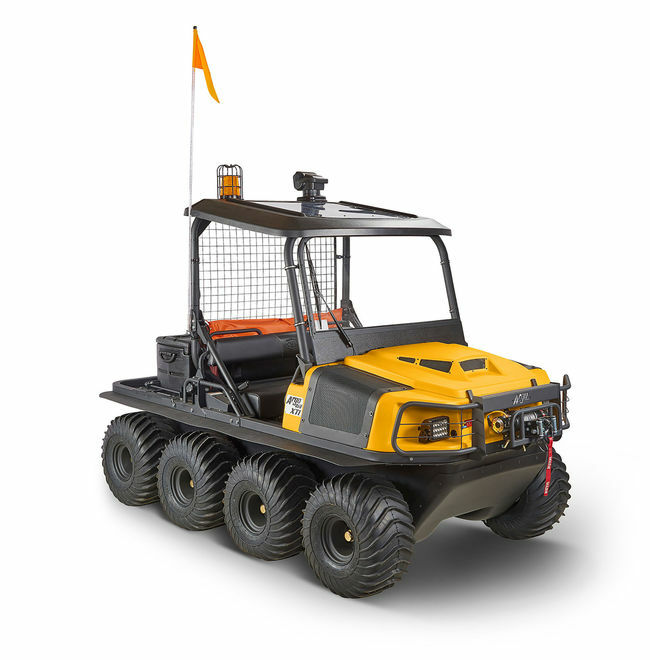 The Lineman takes the Explorer and replaces the dump bed with a tool box and other equipment designed around electrical line repair and maintenance including a capstan winch and a vice.